If you haven’t read the previous blog post then click here to see how easy it is to start up your own spray tanning business with Nouvatan. Within less than one month, you can be fully trained and ready to go and start earning money in your new job, hours to suit you! 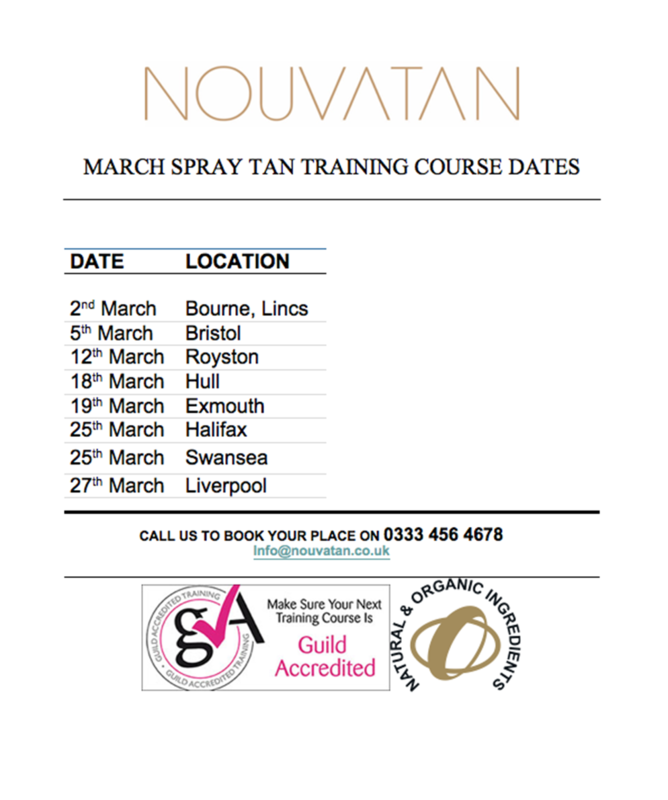 See our March training dates and please do give us a call if you need to find anything out! For information about our range of professional spray tanning kits, just click here. Hi when will you be holding the next spray tan course in the North East area?